Speaking to ZANIS in a phone interview ZAMRA Public Relations Officer Ludovic Mwape said that there was need to test herbal medicines being sold on the market to assure that they adhere to the laid down standard and effectiveness. Mr Mwape said that some herbal medicines on the market was a danger to people’s lives because they had no proper stipulation on dosage, content and other essential details on their usefulness. The ZAMRA Public Relations Officer further added that there was no proper prescribed dosage or duration of prescription for most of the herbal medicines being sold on the market. 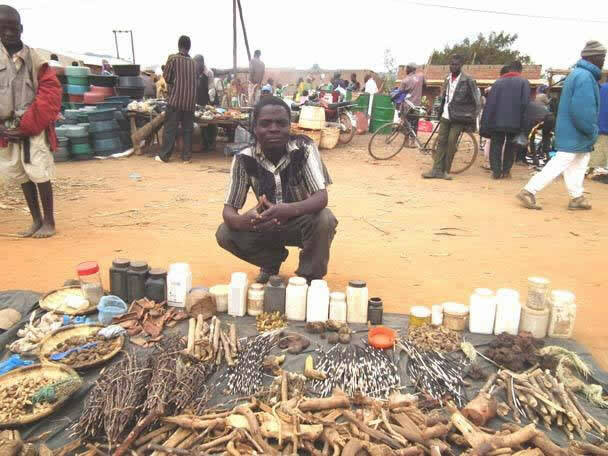 He noted that some herbalists have registered with ZAMRA and were abiding by the standards stipulated and are trading quality products. He however warned that those supplying medicines not produced to standard risk persecution if found wanting. Mr Mwape has since advised the general public to buy their medicines from registered herbal manufactures. it’s wrong to use the same stipulations and requirements for synthetic and herbal drugs. the reason behind all the labels behind synthetic drugs is because of the many chemical ingredients that make up the drug. different chemicals can and do react differently if mixed with or taken with or without x, y z. herbs have one chemical composition, after x amount of months, the chemical composition changes drastically and most of them transition from healing to killing, hence expiration dates. content, what content is in boiled munsokansoka? There is actually another point here and it is environmental. They are cutting down and digging up trees and tree roots. This kills them and is the same as charcoal burning. They ought to be getting licences from the Forestry Department. Just bewitch them so they can prove potency. Ba Chabchima while I share your sentiments regarding the correlation between amalasha and deforestation in Zambia. and it’s a very serious issue that needs to be urgently addressed. I don’t however think herbalists are anywhere close to inflicting the same damage as seen with malasha. unless I don’t know something but from what I know is that when a herbalist is looking for roots from a particular tree, they neither cut down the whole tree nor uproot it for it’s roots. they might get the bark of the tree which are essentially just tissue (that’s like our finger nails) it doesn’t kill the tree, those regrow and the tree continues growing. and if they require roots, they simply dig up a few roots. trees have many roots (for multiple functions) they don’t uproot the whole tree. Mukolwe: What you do not realise is that they get something out of nature and make money out of it. This is like commercial fishing, hunting and mining. What’s their contribution towards replenishing those plants? If you leave it as free for all, the resource will deplete as the economic law known as tragedy of the commons will kick in. If it is for self-medication, that is not destructive but if it becomes commercial, the story changes. Herbalist preserve their tree of interest. And they always run to it when ever they need it. Not anywhere close to deforestation.